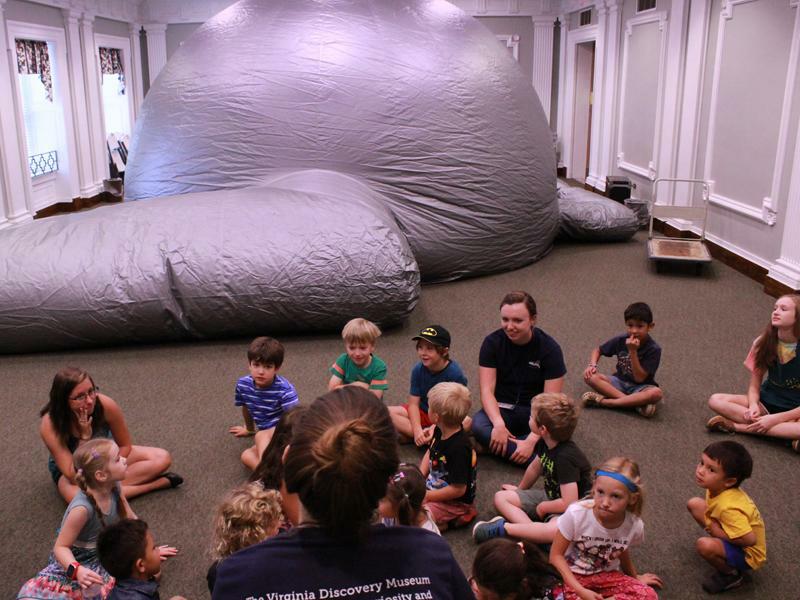 Explore the stars with StarLab, the Virginia Discovery Museum’s portable, inflatable planetarium! Turning on the 360-degree projector inside the dome is always met with the same reaction: “Wow!” If you would like to bring this fascinating teaching tool to your school or organization, please contact VDM at outreach@vadm.org or (434) 977-1025 x106 to set up a visit led by one of our trained education staff. 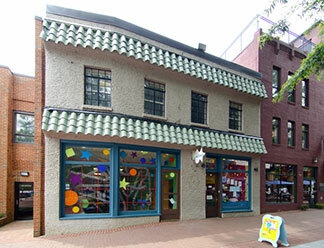 Space Requirements: Indoor area at least 25 ft. x 25 ft. with minimum ceiling height of 11 ft. Program length is capped at 6 hours maximum. In addition to the program time, please allot a half hour before and after the program for our staff to set up and break down the StarLab equipment. To inquire about StarLab availability or to book StarLab, contact VDM at outreach@vadm.org or (434) 977-1025 x106. Not able to have StarLab come to you? A lesson on constellations featuring our 360-degree projection system is available as an add-on activity during Group Visits to the Museum.